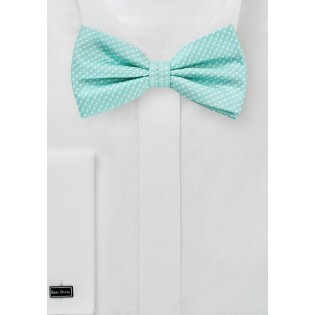 Create a killer look by pairing this seamist colored bow tie with a navy suit and gray button down. 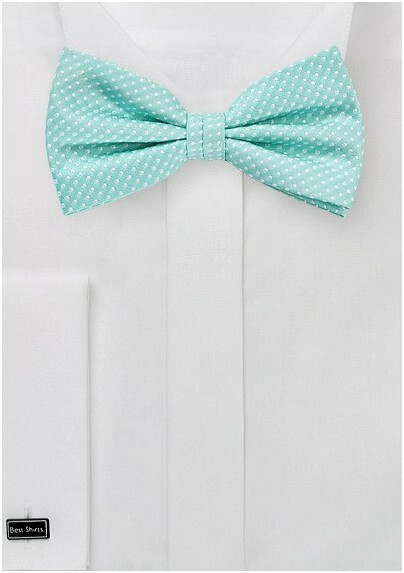 The fresh turquoise color and fun pin dot pattern will really bring your outfit to life. Whether you're strolling along the Seine, or cavorting throughout the Caribbean, this item will ensure that you are always looking your best. Wear it on the Nepalese slopes with a creamy linen shirt and navy slacks for a look that will maintain your fashion appeal.